Muffler Fit Oliver 70 Except Hart-Parr Replaces Oliver PN#:B-452. Horizontal Round Body. 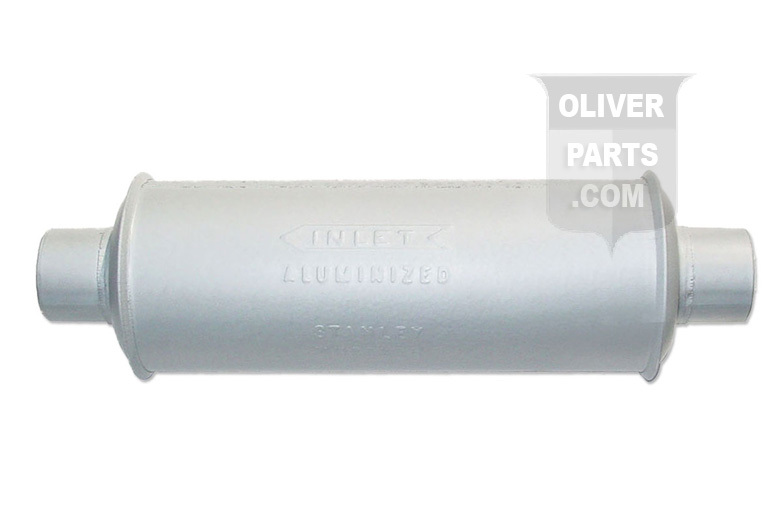 Inlet Length: 1-1/2", Inlet I.D. : 1-15/16", Shell Length: 12", Shell Diameter:4-1/4", Outlet Length: 1-1/2", Outlet O.D. :2-1/16", Overall Length: 15-3/8".